" ""Robbin In Jungle"" is a hunting game. Here you are a player and you have to kill the birds thats are flying in the sky. because you have time boundation and limited arrows. So try to kill the bird as much as you can in single fire.. In further levels one troly will be there. Download and enjoy. Do provide your feedback as review." " ""Robbin In Jungle"" is a hunting game. Here you are a player and you have to kill the birds thats are flying in the sky. You have to set the bow angle and fire the birds carfully, because you have time boundation and limited arrows. So try to kill the bird as much as you can in single fire.. In further levels one troly will be there. So you have to kill birds according to trolly ... If they will collect on trolly then only you will complete the levels ..so its nice game for hunting so enjoy it ...... Download and enjoy. 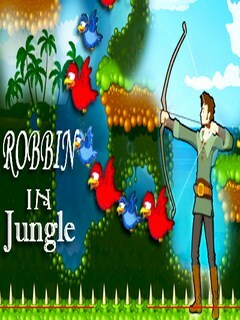 Do provide your feedba" ""Robbin In Jungle"" is a hunting game. Here you are a player and you have to kill the birds thats are flying in the sky. You have to set the bow angle and fire the birds carfully, because you have time boundation and limited arrows. So try to kill the bird as much as you can in single fire.. In further levels one troly will be there. So you have to kill birds according to trolly ... If they will collect on trolly then only you will complete the levels ..so its nice game for hunting so enjoy it ...... Download and enjoy. Do provide your feedback as review." Boule DeBoule 5 For A..